HOMEWOOD, Ill. (WLS) -- The Ferralez family of Oak Forest, Ill., won a brand new Chevy Sonic from Chevrolet of Homewood for Christmas. The dealership paid for the car, taxes, license plates and more. Their contest received more than 300 entries, which were narrowed down to five finalists. The public voted on the winner. The Ferralez family has been through a difficult time recently, as their daughter Jocelyn is fighting cancer. 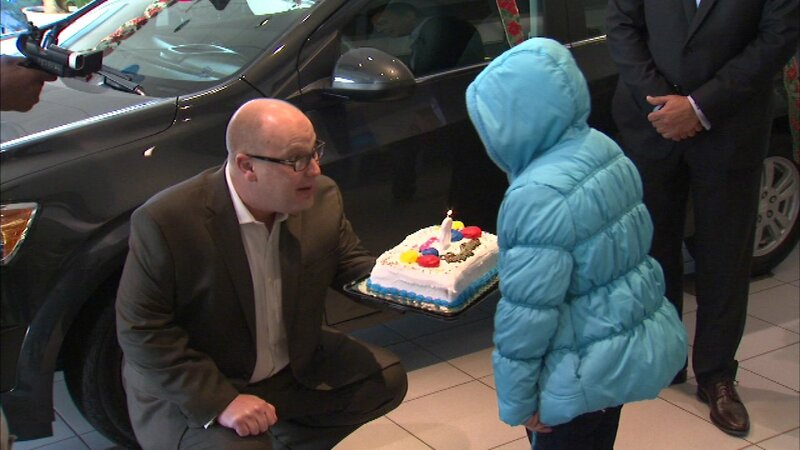 She just turned 8-years-old so the dealership had a birthday cake for her as well.